NACOGDOCHES, Texas - A sold-out auditorium is anticipated for "An Evening with Branford Marsalis" when the College of Fine Arts at Stephen F. Austin State University presents the jazz great in an Encore Event performance at 7:30 p.m. Wednesday, Oct. 10, in W.M. Turner Auditorium on the SFA campus. NEA Jazz Master, Grammy Award-winning saxophonist, Tony Award nominee and Hollywood star Branford Marsalis is a true jazz legend, and tickets for the special performance began selling quickly on the first day of sales in August, said Scott Shattuck, associate dean of the College of Fine Arts and director of the CFA's University Series and Encore Events. "Branford Marsalis may be best known to many as leader of The Tonight Show Band, bantering with Jay Leno," Shattuck said. "But clearly he is one of the greatest and most versatile musicians in his own right, having soloed with some of the world's most revered symphony orchestras and pop superstars as well as fellow jazz icons." Corporate sponsor Elliott Electric Supply helped to make the performance possible. "We simply could not have attracted a star of this magnitude without the support of a music lover as generous as Bill Elliott and a company as deeply involved in its home community as Elliott Electric," Shattuck said. One of the most revered instrumentalists of his time and leader of one of the finest jazz quartets in the world today, Marsalis is a frequent soloist with classical ensembles. His most current quartet recording is "Four MFs Playin' Tunes." Growing up in a musical family in the rich environment of New Orleans, Branford took up the saxophone when he began working in local bands as a teenager. His first major jazz gig was alongside his brother, trumpet legend Wynton Marsalis, in Art Blakey's Jazz Messengers. Branford formed his own group in 1986, and the Branford Marsalis Quartet has long been recognized as the standard by which other ensembles of its kind are measured. In addition to guest turns with a legion of giants including Miles Davis, Dizzy Gillespie, Herbie Hancock and Sonny Rollins, he has excelled in duets with major pianists including his boyhood friend Harry Connick Jr.
Broadway has also welcomed Marsalis's contributions. He provided music for stage productions starring Denzel Washington, Viola Davis, Angela Bassett and Samuel L. Jackson, garnering a Drama Desk Award and a Tony nomination. Marsalis's screen credits include the original music for Spike Lee's "Mo' Better Blues" and acting roles in "School Daze" and "Throw Momma from the Train." 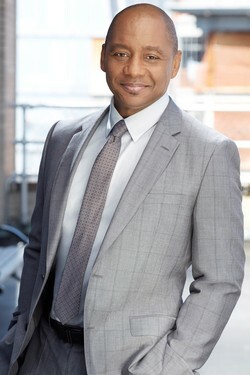 Marsalis has toured with Sting, collaborated with the Grateful Dead and the Dave Matthews Band, served as musical director of "The Tonight Show Starring Jay Leno" and hosted National Public Radio's widely syndicated "Jazz Set." Prior to the SFA performance, Dr. Nathan Nabb, professor of saxophone in the SFA School of Music, will present an informative talk at 7 p.m. in Griffith Gallery. The gallery is located across the hall from Turner Auditorium, which is inside the Griffith Fine Arts Building, 2222 Alumni Drive. The audience is invited back to the gallery for a post-performance reception to meet the performers and to honor the corporate sponsor. Patrons will want to mark their calendars for another special Encore Event that features a full-on rock concert with The Purple Xperience on Friday, Nov. 30. Bringing the spirit and sounds of Prince direct from Minneapolis, The Purple Xperience is the most authentic Prince tribute show in the world. This performance is sponsored in part by Lehmann Eye Center.